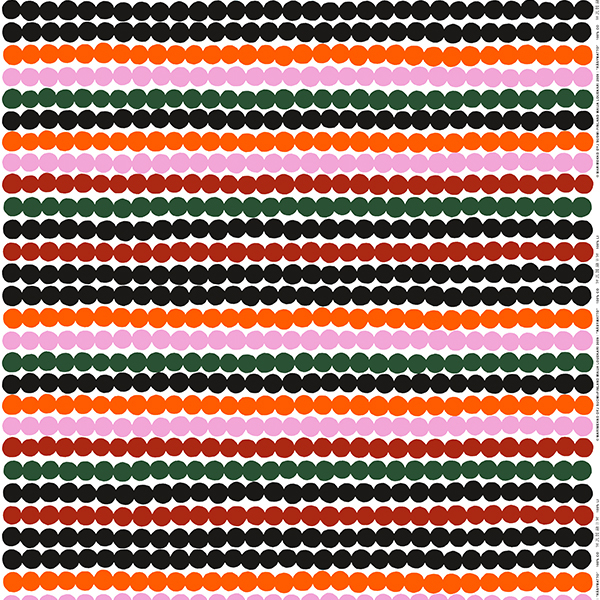 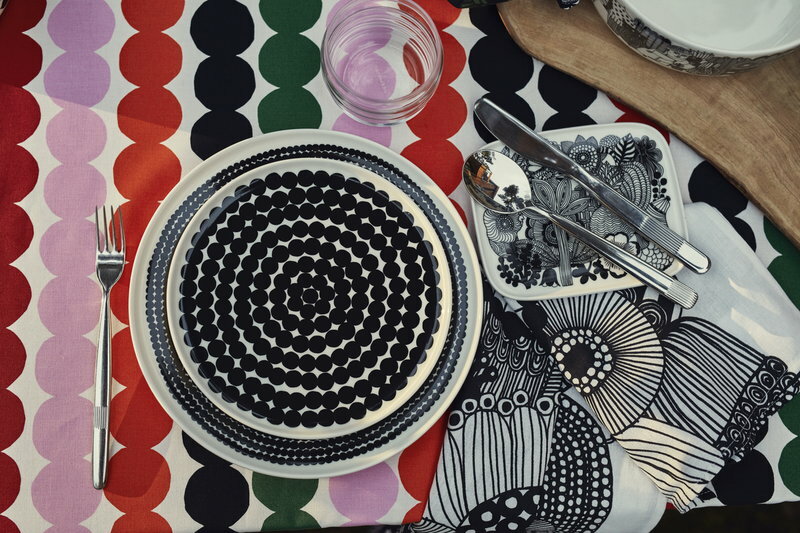 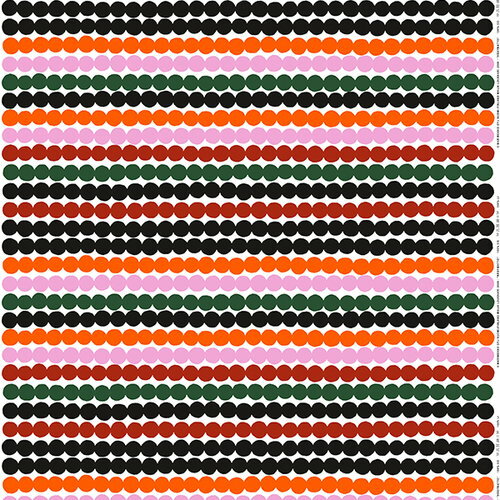 Marimekko’s Räsymatto fabric features Maija Louekari’s lovely pattern in black, red, green, orange and pink. 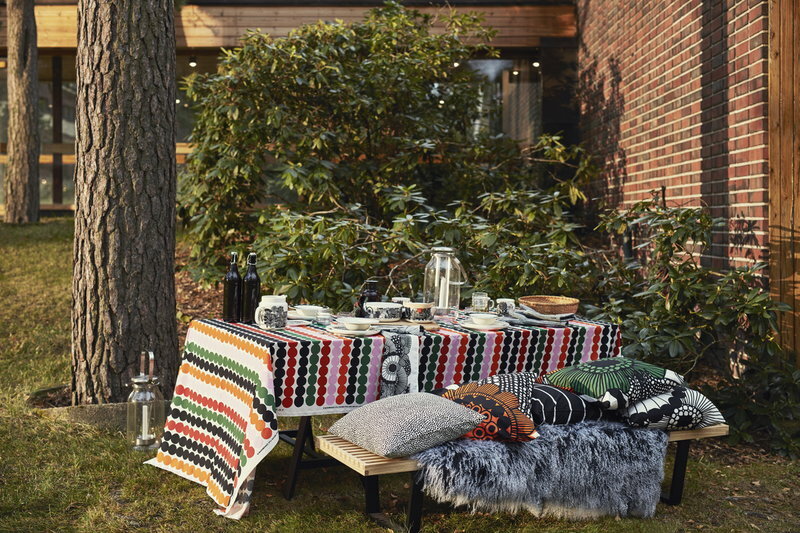 Räsymatto, Finnish for rag rug, depicts the texture of traditional rag rugs in a delightful, graphic manner. 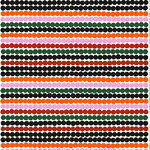 The fabric is made of 100% cotton, and its repeat measures 62 cm.